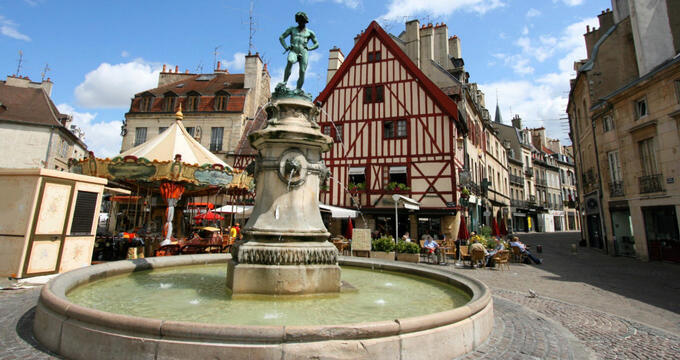 With its condensed and pedestrian friendly center, aesthetically pleasing collection of polychrome tile roofs and half-timbered houses, and lively street scene, Dijon is near the top of France’s list for most appealing cities. The city features a number of renowned galleries and museums, iconic landmarks, and beautiful parks for visitors to fall in love with. The Canal de Bourgogne (Canal of Burgundy), is a 150-mile-long canal that runs southeast from the commune of Tonnerre to the commune of Saint-Jean-de-Losne in central/eastern France. The canal connects river Yonne with the Saone River. Construction on the canal began in the year of 1775, and wasn’t completed until nearly 60 years later, in 1832. The canal was once used as a passageway for boats between the Atlantic and Mediterranean Oceans. 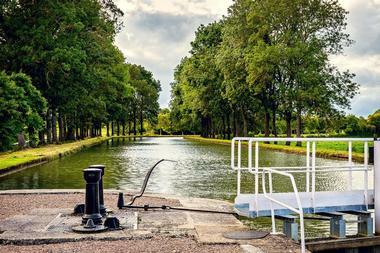 The canal is a national treasure, and used often recreationally by locals and visitors. Besides leisure boating, kayaking, and canoeing, visitors can also enjoy cycling, walking, and hiking along the canal. Combe a la Serpent Natural Park is a sprawling wildlife park that is located in Corcelles-les-Monts, France. The park is situated just a couple of miles west of downtown Dijon; it features over 330 hectares of lush, typical landscape for the regions – hardwood forests, small valleys, and dry limestone slopes. The park is equipped with over 28 kilometers of wonderfully-scenic cycling and hiking trails, an ATV trail, sports area, children’s play area, and picnic areas. There’s plenty to see and do around park, including checking out the bee hives that were installed in 2013 – producing Dijon honey, discover cadoles and dry stone walls, and explore the old apiary that is made out of dry stones. Dijon Cathedral, or officially the Cathedral of Saint Benignus of Dijon, is a beautiful Roman Catholic church that is located in the charming town of Dijon, Burgundy, France. 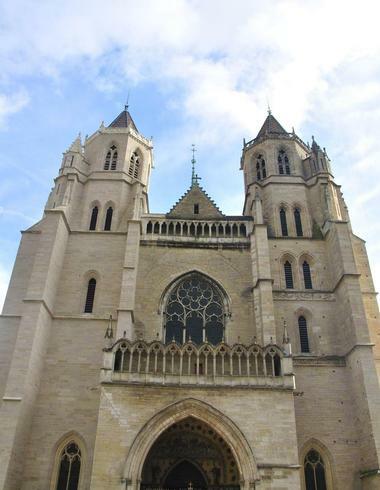 The cathedral was dedicated to Saint Benignus of Dijon. This Gothic cathedral building was constructed between the years of 1280 and 1325, and was dedicated on April 9th of 1393 – it is now listed as a national monument. Visitors will have the opportunity to take a stroll through history as they explore the cathedral, admiring its advanced architecture for the era in which it was built. The cathedral is equipped with organs, church bells, and a crypt. 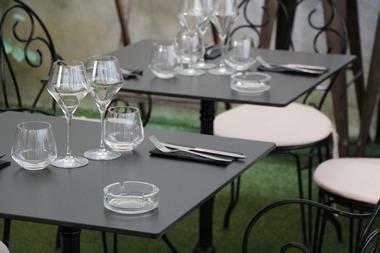 Dr. Wine is a lovely, sophisticated wine bar is situated along Rue Musette in the charming town of Dijon, France. 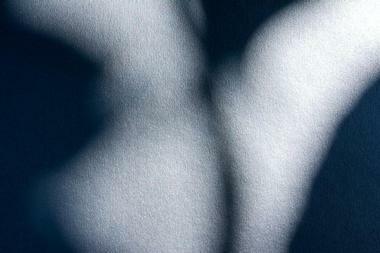 This multidimensional escape has been designed for and by lovers of gastronomy and wine. Visitors can enjoy a relaxing evening in the wine restaurant, where they can enjoy a warm setting, refined cuisine, and sensational wines selected by their team of sommeliers. After an unforgettable meal and glass (or bottle) of wine, visitors can stop off in the shop, where they’ll have over 1000 selections to choose from. 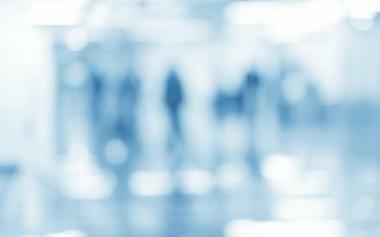 Visitors are sure to receive exceptional service from a team that is dedicated to meeting every need of their guests. 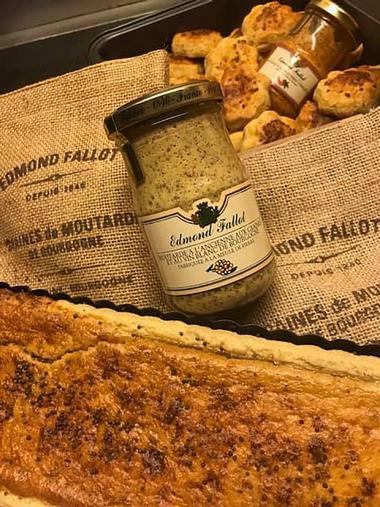 Fallot Mustard Mill is an independent, family-owned business that has been operating in Beaune, France since 1840. Over the years the company has grown in size, to the point where it now features outstanding production facilities, but it’s maintained its expertise when it comes to artisan mustard making. The company was eager to completely satisfy even the strictest of food safety and quality requirements, pursuing an accreditation for the area, which was eventually received from the International Food Standard. From classic mustards to flavored mustards to craft relishes and vinegars, Fallot Mustard Mill has the right food products for turning up the flavor on the next meal. 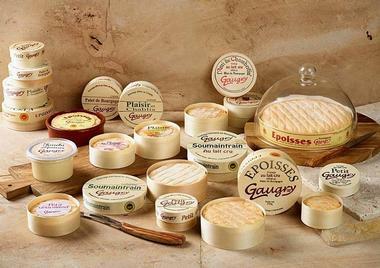 Fromagerie Gaugry is a cheese manufacturer that is situated along Route Nationale in the commune of Brochon, France. It is the last cheese and dairy manufacturer in France that still produces raw milk Epoisses. The AOP Epoisses that are produced from raw milk are emblematic, and best reveal the true characteristics of this particular type of cheese. Fromagerie Gaugry offers both guided and unguided tours for visitors to enjoy. The guided tours can be taken by groups or individuals, where they’ll learn about the full production of cheese before taking part in a cheese tasting with a side of bread and glass of Burgundy wine. 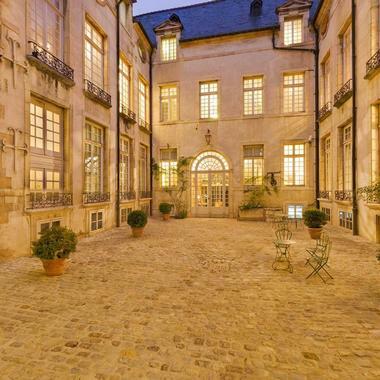 Hotel de Vogue is an old mansion that has been classified as a Historical Monument, located in Dijon, France. Located on Rued de la Chouette, the mansion was constructed during the French Renaissance, and is situated close to the bedside of the Notre Dame Church. The mansion was richly decorated when it was built, which is believed to be in the year of 1614. This noble style of architecture can be found in Nimes, Montpellier, and Toulouse, and is influenced greatly by the Italian Renaissance. Visitors can peruse the mansion and check out the fireplace within the Hall of the Guards, take a stroll through the courtyard, or admire the garden façade. Jardin Botanique de I’Arquebuse is an arboretum, botanical garden, and park that is located on Avenue Albert-Premier in Dijon, France. Together, these three parts of the complex bring together an exceptional opportunity for visitors to learn about and enjoy the many aspects of horticulture. 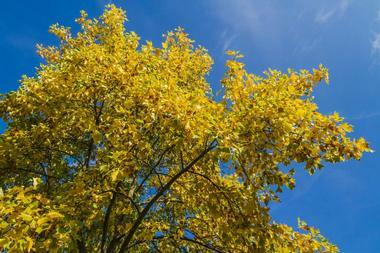 The Flora of Burgundy is a layout of a French garden that features flat strips lined with boxwood; and the arboretum is equipped with species of trees from all over the world. Every June, the city starts to buzz as over 1.5 million bees make their way into the complex’s gardens, parks, and terraces. 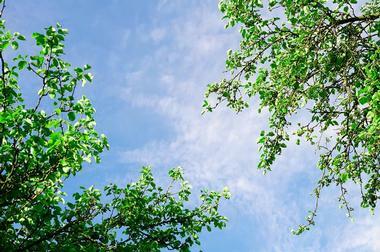 It’s an excellent place for locals and visitors to escape for the day for a little relaxation. La Boutique de la Truffe, Truffissimo is a delightful truffle shop that is situated along rue Chaudronnerie in Dijon, France. It is a unique little shop that is nestled within the city’s historic antique quarter. 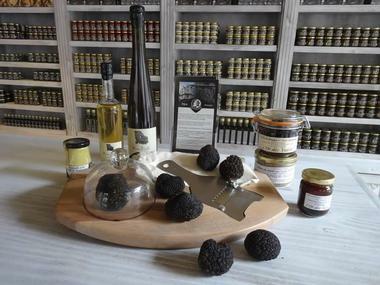 Visitors will find many different varieties of delicious truffle, as well as numerous truffle-driven products. The shop features a charming bricked cellar that is available for parties, birthdays, seminars, or any other kind of celebration. The interior features clean, straight lines, neatly stacked truffle packages on the shelves, and a few lovely paintings. Visitors will appreciate the gentle guidance of the shop’s charming and knowledgeable purveyor of sensational gourmet delights. 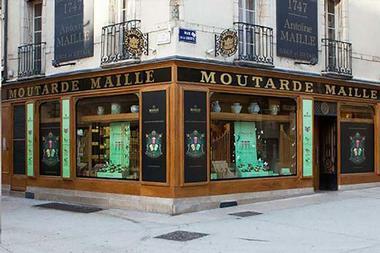 La Maison Maille French Store is a gourmet foods boutique that is located in the center of Burgundy, in the gorgeous city of Dijon, France. The shop originally opened its doors in the year of 1845. Here, visitors will find dozens of beguiling gourmet mustards and hundreds of craft condiments on the walls from floor to ceiling. They’ll have access to some of Dijon’s most complex, audacious, and distinctive flavors that will satisfy the most discerning of taste buds. Shoppers will also find playful vinaigrettes, delicate vinegars, unique gifts, and luxurious tableware, all of which are accompanied with inspiring recipes and food tips they’ll be able to take home with them. 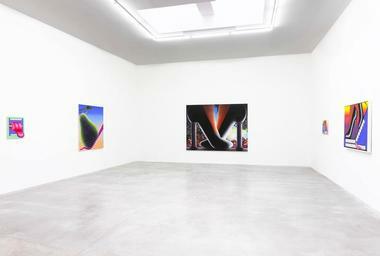 Le Consortium is a sophisticated, contemporary art museum that is located on Rue de Longvic in Dijon, France. The museum was founded by Franck and Xavier Gautherot, and others from the Le Coin du Miroir association. The center is ran by Douroux, in close collaboration with Eric Troncy and Gautherot. After exhibiting conceptual and minimal art during the 1980s, The Consortium ushered in the 1990s with the emergence of new generation artists that include Gillian Wearing, Angela Bulloch, Liam Gillick, Carsten Holler, and Pierre Huyghe. Visitors will find many different works of art within The Consortium these days, just over 350 to be exact, so visitors will want to bring their cameras. The Musee des Beax-Arts de Dijon, or Museum of Fine Arts Dijon, is a museum that exhibits fine arts in Dijon, France, first opening its doors in 1787. Nestled within the historic center of Dijon, visitors will find the museum housed in the marvelous Palace of the Dukes of Burgundy. The collections found at the Museum of Fine Arts are among some of the finest in French Museums. Visitors will see everything from contemporary art to antiquity, from paintings and drawings to decorative arts and sculptures. Almost every form of art can be found represented amid the 130,000 preserved works. Musee Magnin, or the Magnin Museum, is an impressive national museum that is situated along Rue des Bons Children in Dijon, France. The museum features a collection of about 2,000 beautiful works of art that have been collected by Maurice and Jeanne Magnin, who bequeathed it to the state to be properly put up on display for the public. The collection includes everything from graphic arts to paintings to furniture to sculptures to unique art. Visitors can get in-depth guided tours of the museum from cultural mediators, exploring the 80-year-old structure and all of its treasures in great detail. Visitors should be sure to check out the museum shop on their way out for a souvenir. Musee Rude (Rude Museum) is a fascinating art museum that is dedicated to French sculptor, Francois Rude. 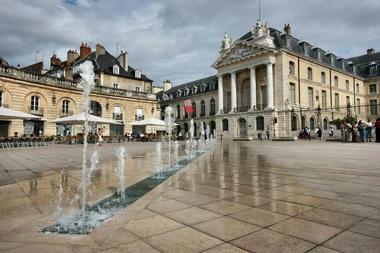 Visitors will find this popular tourist destination situated along Rue Vaillant in beautiful Dijon, France. Since 1947, it has been housed within part of the previous Eglise Saint-Etienne of Dijon, constructed in the 11th century. The museum was originally constructed to house the impressive cast of the Departure Volunteers of 1792, commonly recognized as La Marseillaise, a famous sculpture by Francois Rude. Visitors will be in awe as they explore the museum’s beautiful works of art and magnificent architecture. Art and history buffs will have plenty to smile about. 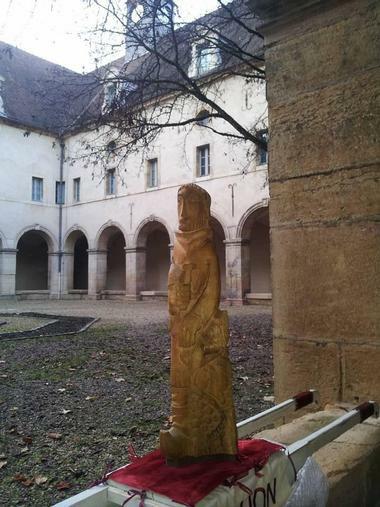 The Museum of Burgundian Life is an ethnographic museum that is located on Rue Sainte-Anne in Dijon, France. 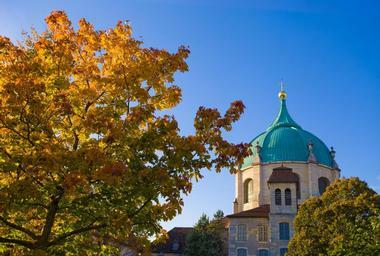 The Museum recounts the domestic life and regional history through artifacts and costumes in a historic monastery. The ground floor of the museum features fascinating ethnographic exhibits of rural Burgundy during the 19th century. The majority of these collections come from the unwavering passion of a single man, Maurice Bonnefond Perrin de Puycousin – a man who has devoted a large part of his life to safeguard customs from his native region. 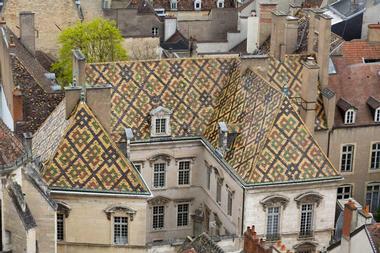 It’s one of the many must-see museums for travelers visiting Dijon for the first time. The Palace of the Dukes of Burgundy is a well-preserved architectural assemblage that houses the mayor’s office, along with several other administrative offices, located on Place de la Liberation in Dijon, France. The structure was originally constructed to display the might and power of the dukes. 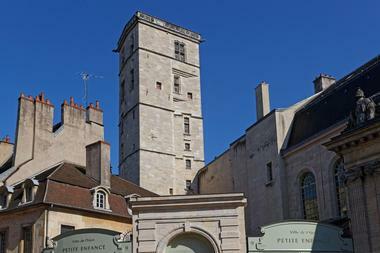 The tall-stretching tower of Philippe le Bon provides visitors with impressive panoramic views of the city. In 1365 the first of the buildings were constructed on the site of an old Gallo-Roman fortress. Visitors should bring their cameras, as they’ll have plenty of marvelous photo opportunities – like atop the Tour de Phillipe le Bon to grab the perfect shot over the Saone River and rolling vineyard hills. Place de la Liberation is a central square that is located within the historic center of Dijon, France. 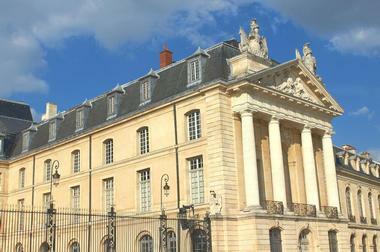 The square opens up to the Palace of the Dukes of Burgundy. It received its name from the liberation of Dijon that took place in 1944. This sprawling public square once featured an equestrian statue that was erected for King Louis XIV, later to be destroyed. The look of the square today is a result of the facelift it was given in the years of 2005 and 2006. The surface of the square was covered with a local Comblanchien limestone that is known for its magnificent beige color, there were also three beautiful fountain that were installed. Planetarium Huber Curien is a planetarium that is situated along Rue Jehan de Marville in Dijon, France. 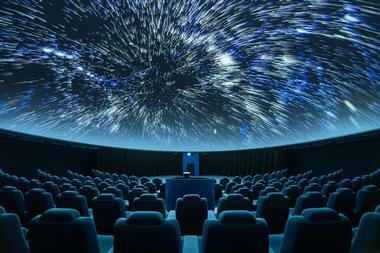 The great room in the planetarium features a number of comfortable seats under a dome that measures over 30 feet in diameter. Visitors will feel like they’re in whatever place being cast upon the screen, as it stretches across every part of their vision. They’ll have the chance to watch incredible shows that last approximately 35 minutes on average, including Water, a cosmic adventure, Natural Selection: Darwin’s Journey, Dinosaurs at dusk, Polaris, The origins of life, and Planets, travel in the solar system. Port Guillaume (William Gate) is an impressive monument and historical landmark that is located along Place Darcy in Dijon, France. 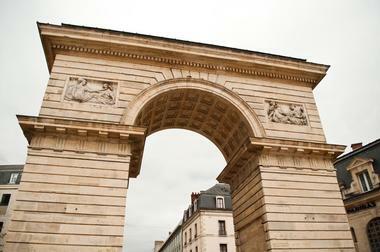 Built in 1788 by architect Jean-Philippe Maret, the monument honors the Prince of Conde, and the governor of Burgundy. Four bas-reliefs that were created by sculptor Claude-Francois Attiret adorn both sides of the monument. On the landmark’s right panel, visitors will find a commemorative plaque that commemorates Thomas Jefferson, a symbol of the Franco-American friendship. Porte Guillaume is one of the most popular and photographed landmarks in the city of Dijon, it draws in thousands of fascinated visitors every year. Shop Pralus Dijon is a sensational pastry and gourmet desert shop that is located on Rue de la Liberte in Dijon, France. It was Auguste Pralus who originally invented the scrumptious Praluline, a tasty bread bun that stimulates that taste buds. A pastry chef of great talent, Auguste obtained the coveted title of Meilleur Ouvrier de France, a prestigious award he won for his demanding quality standards and skills. He went on to become the Chariman of the Pastry Cook’s Union, before becoming a member of the Culinary Academy of France. 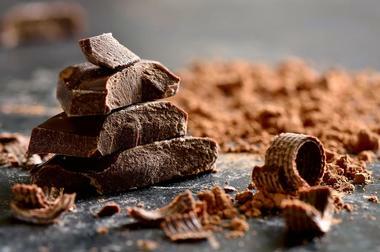 Beyond the pralulines, the shop offers 18 delicious, pure-origin chocolate bars for visitors to shop from and enjoy. The Archaeological Museum is a museum that preserves the findings of human presence in the region of Burgundy, France, from its Prehistory to its Middle Ages. The museum is nestled in the center of the former Benedictine Abbey Saint-Benigne. The fascinating history of the museum’s collections begins all the way back in the late 18th century, during the initiative of learned societies and scholars. Visitors will find a museum that features several collections with material items depicting the succession of the many different cultures that made Burgundy their territory. 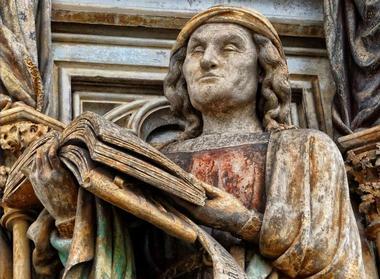 The collections include the Online Collections, The Deposit of Blanot, The Sancturary of the Sources de la Seine, Daily Life in the Gallo-Roman Era, and The Medieval Sculptures in Burgundy. 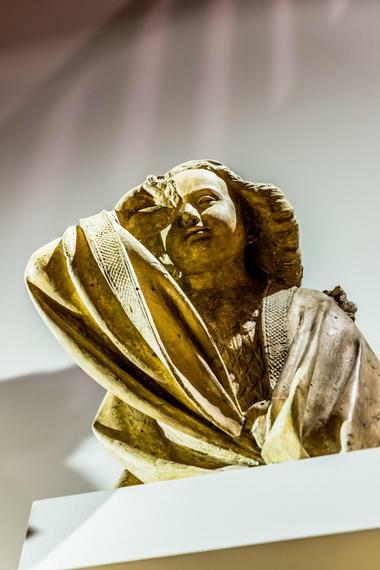 The Museum of Sacred Art is a beautiful, municipal museum of Catholic Burgundian art that was inaugurated in the year of 1980 by Canon Jean Marilier, within the Eglise Sainte-Anne of Dijon, France. The museum features sacred art installations that are located within the historic church of the Monastery of Bernadines. Visitors will find several paintings, textiles, jewelry, and sculptures from the 12th through the 20th centuries on display. Religion and history buffs will have the chance to explore objects within the museum’s exhibitions that date back hundreds of years. They’ll appreciate how well each object has been preserved, and the wonderfully-intricate details that went into each unique piece. 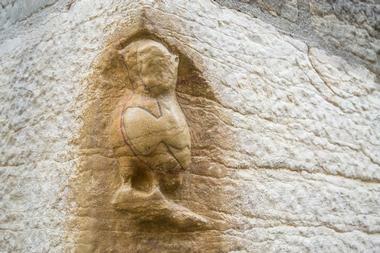 The Owl Dijon, or Owl of Notre Dame de Dijon, is the city of Dijon’s symbol, as well as unofficial talisman. This tourist attraction is situated along Rue de la Chouette, in the heart of Dijon, France. The carving sits approximately six feet off of the ground, on a rather ordinary corner of the Church of Notre-Dame of Dijon. There’s an old tale that if visitors touch the owl with their left hand while making a wish, that their wish will manifest and come true. The owl was added long after the church’s original construction in the 13th century, no one knows who or why, only that it was done sometime around the 16th century. Tour Philippe le Bon is a touring service that offers guided tours to visitors wanting to explore the Philippe le Bon tower in Dijon, France. The tower was built between the years of 1450 and 1460, and features 316 steps that lead to the tower’s roof, where visitors can take in breathtaking, panoramic views. The sites that can be viewed from the top of the tower include the city, Ouche and Saone valleys, and the rolling foothills of the Jura. As visitors wander through the tower, they’ll have the chance to admire the vault of the spiral, enshrined with firestones and lighters, the symbols used by the Duke Philippe le Bon. The Well of Moses is a large, monumental sculpture that is recognized as the undisputed masterpiece of Dutch artist, Claus Sluter. Locals and visitors will find the sculpture located along Boulevard du Chanoine Kir in Dijon, France. The original sculpture featured Mount Golgotha on top of it, along with a large cross that depicted the crucifixion of Jesus Christ, and the people mourning him (Mary, Mary Magdalene, and John). The Well of Moses was the base portion of the crucifixion scene. This sculpture sits atop a fountain that is in the shape of a hexagon. History buffs visiting Dijon for the first time won’t want to miss this iconic attraction.